At some point last year I was like to myself, I’m a Christian but I’m not really showing love to other people. I mean, I showed love sometimes but when I’m not in the mood, or when I’m not feeling it, or when the person has done something mean to me.. I just totally shut down. Really and truly it shouldn’t be like that.. You know, God doesn’t love us when He wants to. Jesus didn’t choose whether to die on the cross or not. He knew that we would reject Him. He knew that we would fall, yet He still it. 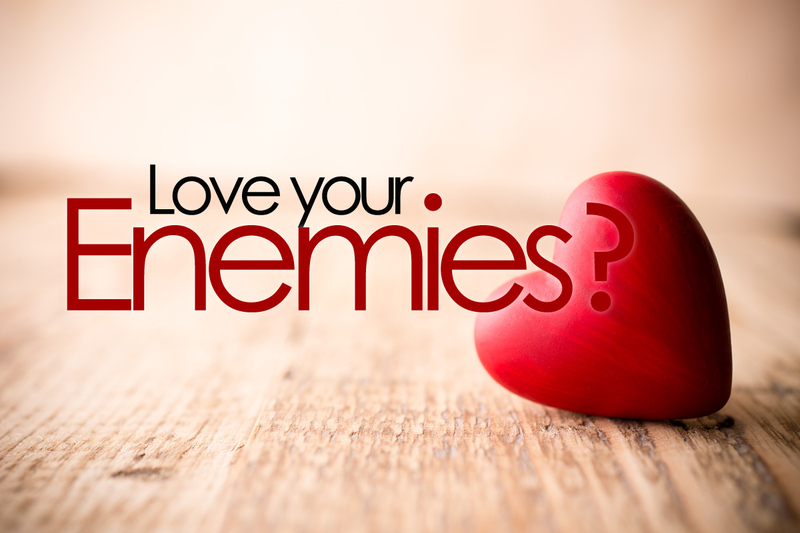 As Christians who are trying to be CHRIST-LIKE, we need to emulate that unconditional love, even when someone has wronged you, you still have to show love. Now I’m not saying that it’s easy, but its definitely possible. We can’t do it with our own strength. We need God to make us a light and show love to other people. Erm why? and how?? How do I show love to someone who has wronged me? How do I show love to someone who has put me down? How do I show love to someone who has used and abused me? To be honest, I’ve come to the conclusion that it’s only God that can help you with that. Like there have been times where someone has wronged me, and I’m in a position to help them or there’s a time where the situation can be discussed but I feel like going off on them or I feel like seeking revenge or not helping them because of what they done before. I literally just pray because I don’t want to do something that I know won’t be pleasing to God. Sometimes it can be hard, especially if you’re in a position where you can tell someone about themselves but you have a choice; to either listen to The Holy Spirit or to do your flesh says you should do. There are times where you will help someone and you’ll ask yourself ‘why did I help them?’ But I feel like there’s joy, peace and blessing that comes from being obedient and doing God’s will and what He has told you to do. Really and truly, God is love. God is the very essence of love. We as Christians experience that love and it is our duty to show that love to other people; to let them experience that love through us. We are literally the light of God on this earth, we are His tools on this earth. God wants to use us to pour out His love to other people. Love is the basis. Love is the fundamental. If you’re a christian and you can’t show love, everything else you do is in vein. It takes the littlest thing like ASKING GOD to help you to show love to other people NO MATTER THE CIRCUMSTANCE. 1 corinthians 14:1 says:’Pursue love, and desire spiritual gifts, but especially that you may prophesy.’ PURSUE LOVE. That should be the first thing you do, EVERYDAY. Going back to Matthew 5:44. We have to pray for those who spitefully use you. I think this is a good way for you to overcome those negative emotions and feelings that you have towards a person. Pray for them the way you would pray for yourself. Slowly you start feeling your heart changing towards that person. When you start praying for someone, its like you’re taking them into consideration and you’re letting the Holy Spirit work on the way you perceive that person. Jesus was crucified. He was put to shame. He could have said He wanted to come down from the cross. Obviously we are trying to be like Jesus. We have to realise that He was willing to take on shame and died for us. Who are we to not extend that same grace to other people. If God kept a count of all the wrongs we have done and what we are yet to do, He wouldn’t send His son to die for us in the first place. Other things that people do to us, we deem as wrong. Sometimes we don’t know what battles they are facing, we don’t know what they are going through, we don’t know what they did to act they way they did. You extending love to them can make them feel like they are worth love and kindness. There’s a quote that says ‘you may be the only bible that people read’. Its so true. Everywhere we go, everything we say as christians should be of God. Sometimes I do feel silly, when I have other people talking in my ear saying stuff like “are you gonna have that?” “so what.. you’re just gonna let it slide? “if that was me I would have done this that and the other” “Omg Kemi you’re mad”.. LET ME BE MAD. Yes I’m mad.. I’m mad for Christ. You may look crazy but at the end of the day, this is the truth that we must live by. Another reason why we should show love to other is because as soon as we accept God into our lives, we have the Holy Spirit and God’s love within us. If we now harbour negativity and grudges, it will clog our spirits. It clogs us from being able to release that love to other people. Do not make yourself a reservoir for bitterness. Do not make your spirit a dumping ground for bitterness and strife. It clogs your spirit and hinders you from giving voice to the love of God. PRAYER POINT: God let me see other people the way you see them.